As I am transferring some of the components from the Avanti Inc 3 over to this new Fabike C3 frameset, some of the components will be reused. 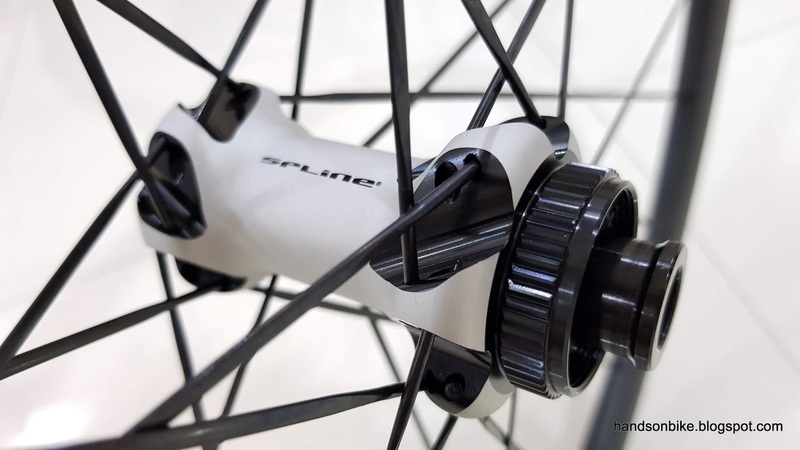 Examples would be the Alfine 11 Di2 rear wheel, the Dura-Ace 7900 crankset, etc. For the front wheel, I had the choice of front fork. I could choose the Fabike C2 fork which uses a normal quick release axle, or the new Fabike C3 fork which uses the 12mm E-thru axle. 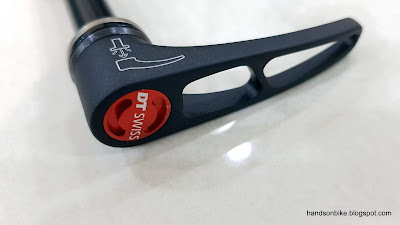 If I chose the QR axle fork, I can reuse the DT Swiss R 24 Spline Disc Front Wheel which I got some time back. However, I decided to use the latest standard, which is the 12mm E-thru axle. This means that I will need to get a new front wheel that uses a 12mm E-thru hub. At the same time, this would also make the front wheel compatible with the Canyon Endurace road bike, which also uses 12mm E-thru axle, with 700x28C tires. If there is ever a need, I can swap the front wheels between these two bikes. 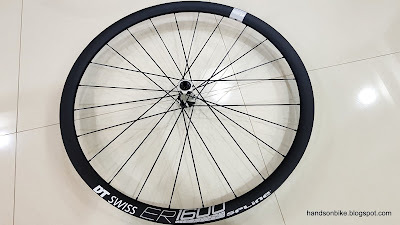 Therefore, I needed to get a new front wheel, and my objective is to make it look similar to the rear wheel, which has a DT Swiss rim. In this case, it helps to narrow down my choices, as I will choose a DT Swiss front wheel to match the rear wheel. 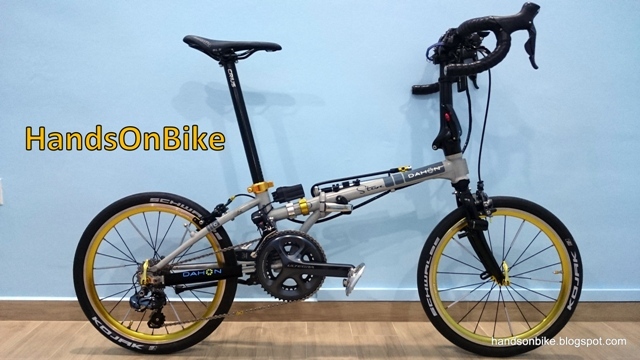 Requirements: 700C size, 12mm E-thru axle hub, Centerlock disc brake mounting, black rims and spokes. I had a choice of different rim widths, such as the narrower Performance Road (PR1600) version, or the slightly wider Endurance Road (ER1600). Not really much of a difference, so either one is fine. 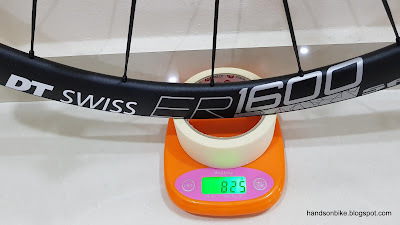 As for the rim height, I could choose between the 24mm profile which is more lightweight, or the 32mm rim profile which looks more aero but it slightly heavier. 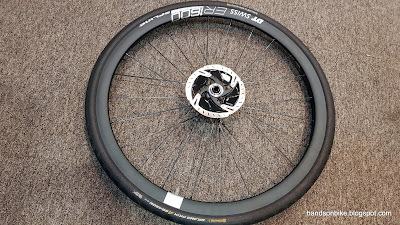 In the end I decided on the 32mm rim profile, which looks nicer and looks more like the rear wheel. Let's take a closer look at this front wheel! It comes with a whole lot of accessories and adapters. You can change the end caps to 9mm QR axle, or 15mm E-thru. 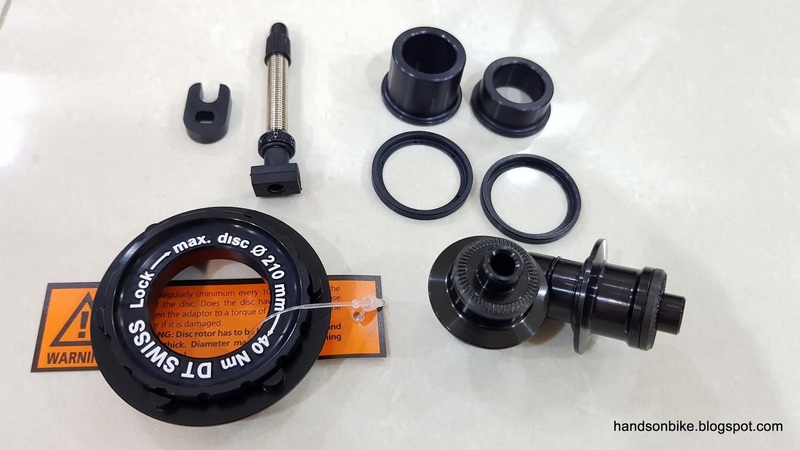 The tubeless valve is included, as well as a rotor adapter (for mounting 6 bolt rotor to this Centerlock hub). 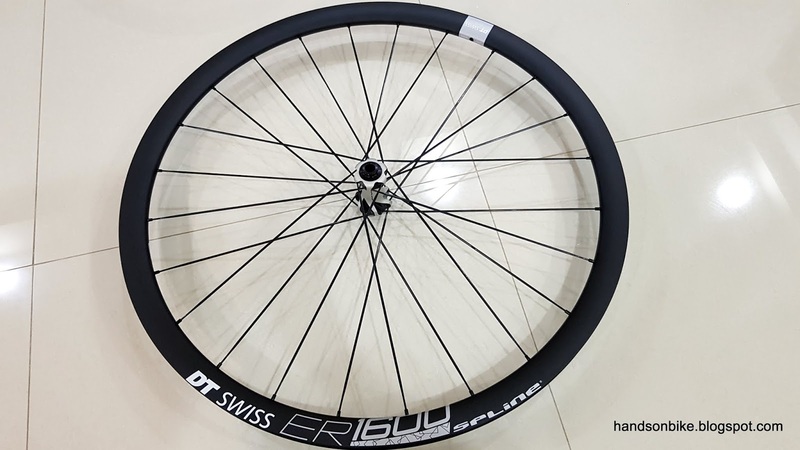 Internal rim width is 20mm, which is considered quite wide. 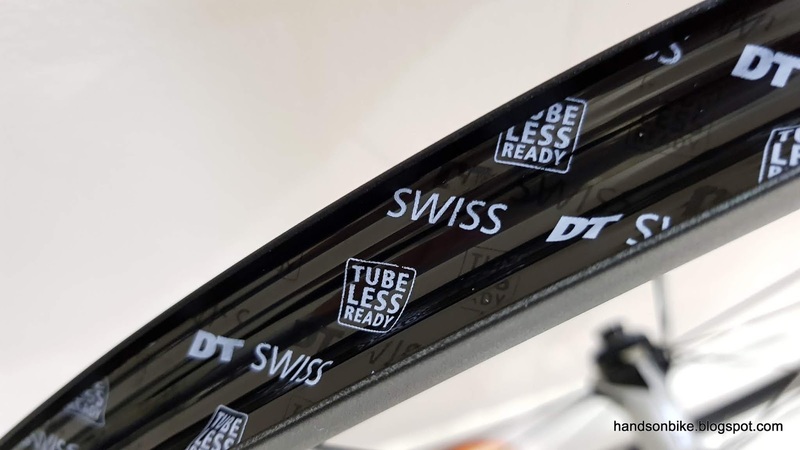 Tubeless ready with the factory installed rim tape! 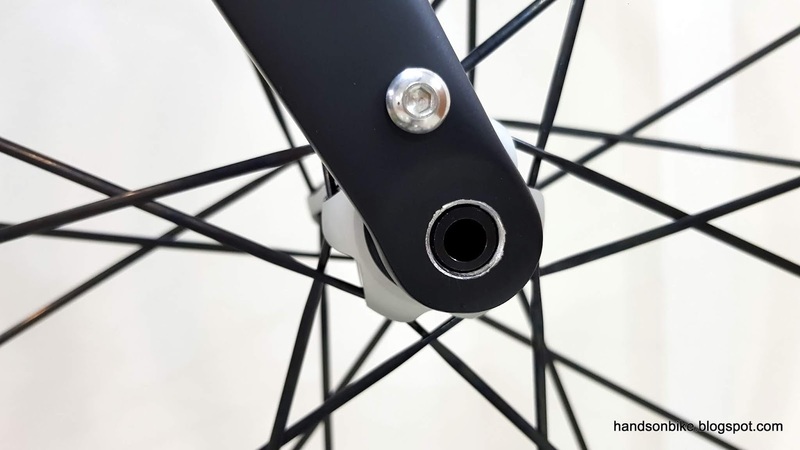 Hub with straight pull spokes. Wonder how they make the gloss black surface on the matte white hub. 32mm profile front wheel is 825 grams, which weighs about the same as the previous 24mm front wheel. Rim height comparison. New 32mm on the left, previous 24mm on the right. Dahon MuEX in the background. This Fabike C3 frameset does not include the front 12mm E-thru axle on the front fork, which means that I need to get my own. I don't mind that, but I will need to know the specifications of the thread that is used. Although it says 12mm E-thru, there are different thread pitch in use! The Shimano standard is 12x1.5mm, while there are also 12x1.0mm, 12x1.75mm, etc. 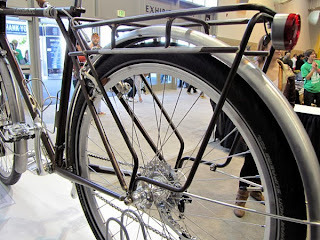 For non-standard thread pitch, usually the E-thru axle will be included with the frame. 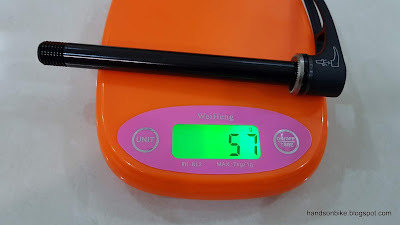 In this case, I checked with Fabike, and they are using the standard 12x1.5mm thread pitch. 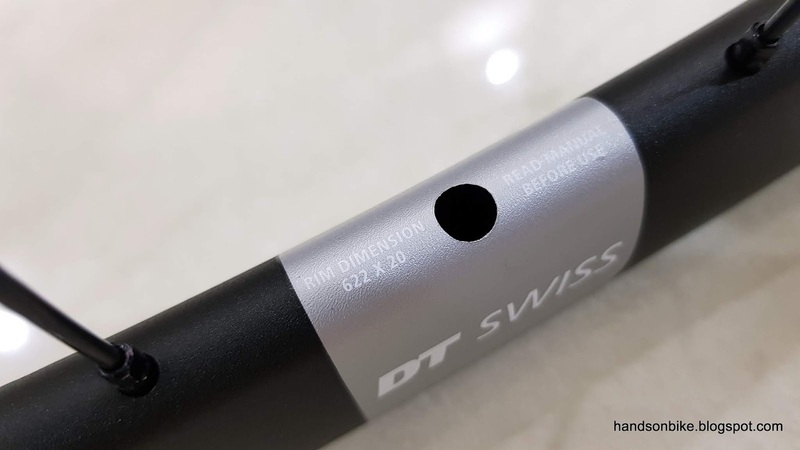 In other words, I can get a normal Shimano or DT Swiss 12mm E-thru axle for the fork. I like the E-thru axle with a removable lever from DT Swiss, which I have on the Canyon Endurace, so I decided to get the same one for this Fabike C3. 12mm E-thru axle for the front wheel, weighs 57 grams including the lever. Made by DT Swiss, and has a removable lever if you want to save some weight or make your bike a bit more aerodynamic. It threads in nicely to the Fabike C3 front fork! 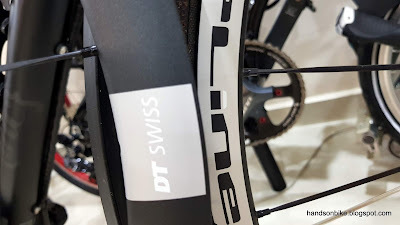 Tested with the DT Swiss front wheel as well, no problem. On this new frame, it uses Flat Mount brake calipers. 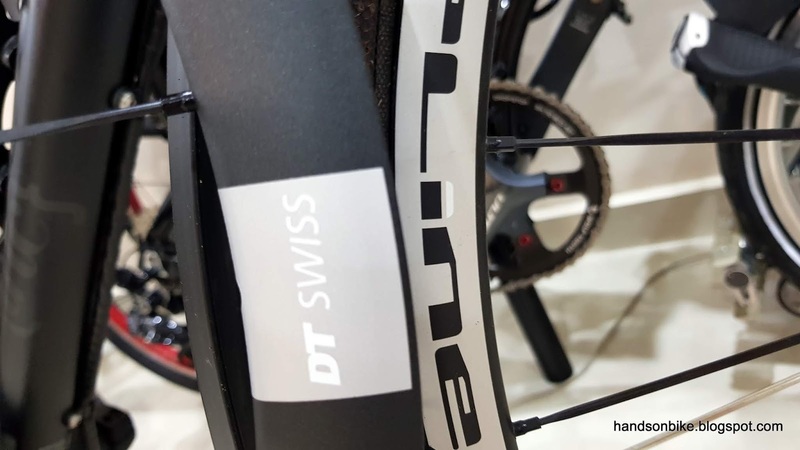 As for the disc brake rotors, it will still be 160mm diameter rotors, with Centerlock mounting on the front and rear hubs. 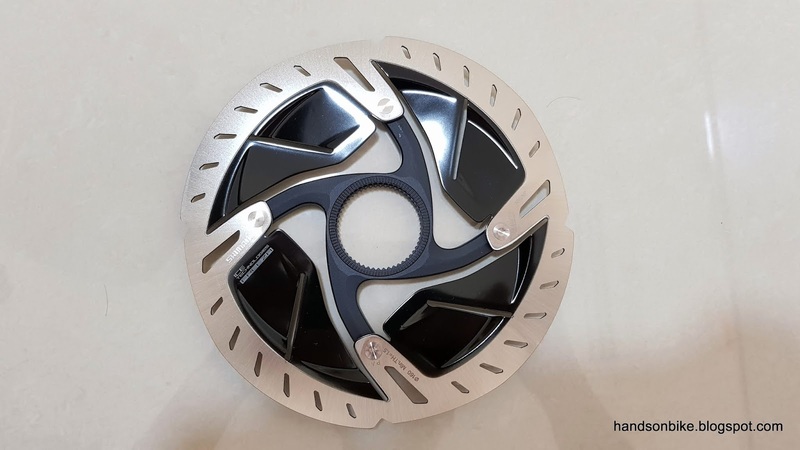 Although I can reuse the previous 160mm brake rotors, I decided to get a new set of Dura-Ace RT900 brake rotors, which look really nice with the black coating in the centre. 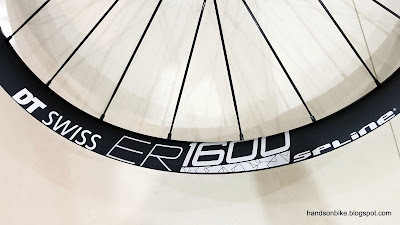 Once again, this is the same rotor used on the Canyon Endurace, more details over at the link. Dura-Ace RT900 Ice-Tech disc brake rotors! I had also considered getting new tires, but the Continental Grand Prix 4 Season tires from the Avanti Inc 3 are still in great condition, and I can't actually think of anything better for all weather commuting. Therefore, I decided to keep these tires and transfer them over to the new wheel. Continental Grand Prix 4 Season tires. Similar to the GP4000, but with a tougher layer for more puncture protection. With the tires and disc brake rotor installed on the new front wheel! Looks like a carbon front wheel, but at a fraction of the cost. The new front wheel is now ready to be used! It looks good and matches the rear wheel nicely. With the Continental Grand Prix 4 Season tires mounted on these rims, the 28C tire becomes 32mm wide!